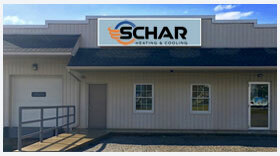 Schar Heating & Cooling, Inc. is proud to serve the Wadsworth community! About Wadsworth, OH - Happy to be your hometown Heating & Air Conditioning Contractor! Wadsworth is found in Medina County, Ohio, and it is home to approximately 22,000 residents. Named after Revolutionary War General, Elijah Wadsworth, the city is a quick drive from major metro areas like Cleveland and Akron. The Wadsworth City School System is the largest employer and includes Wadsworth High, one middle school, one intermediate school, and five elementary schools. Throughout the year, Wadsworth hosts many events and festivals. The most popular is the Blue Tip Festival, which begins with the lighting of a 20-foot-tall blue-tip match. The festival offers fair food, amusement rides, merchants’ tents, parade, and entertainment. The Matchstick 4 Mile foot race is another popular event. In addition to local festivals, there are several other interesting things to do in Wadsworth. The Blue Sky Drive-In Theater is one of the last-remaining drive-in movie theaters in the region. Budding wine connoisseurs may enjoy a trip to Filia Cellars, while craft brew aficionados may prefer a trip to the Wadsworth Brewing Company. Weather conditions in Wadsworth vary with the changing seasons, so to prepare, residents often invest in both home cooling and heating seasons. The spring and summer months tend to be comfortable, but due to the area’s humid continental climate, summers tend to be hot and humid. Average highs reach into the 80s, but oppressive humidity can make it feel even warmer. Most residents – especially children, the elderly, and people with chronic medical conditions – rely heavily on their central air conditioners to stay cool throughout the season. Winter is an even more concerning season in terms of the weather. Temperatures can be frigid, and the area receives about four feet of total snowfall each year. Without the right climate controls, indoor conditions could become dangerous and expensive pipe systems may freeze. Local HVAC technicians can help Wadsworth residents to find the gas or electric furnace that works best for their home. Periodic maintenance is also recommended to ensure these systems work well when they are needed.